I've been trying to figure out what these are and I honestly have no earthly idea. This is just a young one I just spotted wandering across the floor, but they're often outside and I find a lot on my garbage bin outside. I know its not a hobo spider becuase of it's back and its legs are banded. I'm not even sure its even a type of eolf spider at all. 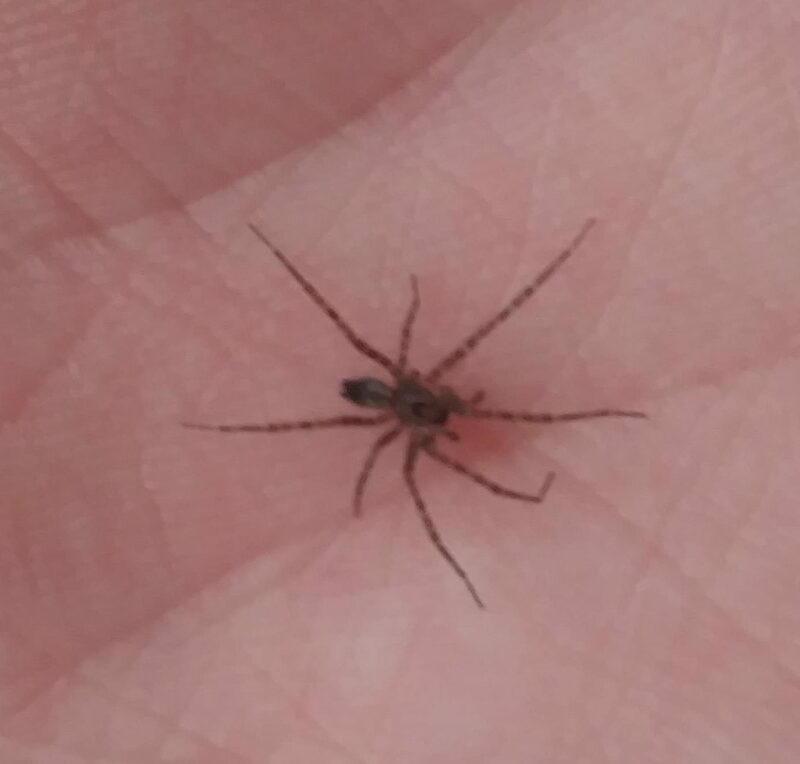 I've searched all over Washington State spider ID websites and nothing has been fruitful. Can anyone tell me what this is? My phone camera isn't great so if its too small of a spider to tell I'll seek out a bigger one. They aren't aggressive.